Man-cha holds an old army dogtag-like disc in his hand. 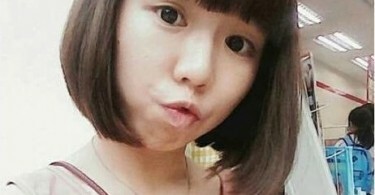 The 33-year-old Hong Kong local used to wear it every day as a necklace before the chain broke. He got the item from the Ruttonjee Hospital in Wan Chai, where he stayed for three years as a child due to meningitis. He has also been diagnosed as having dyslexia. 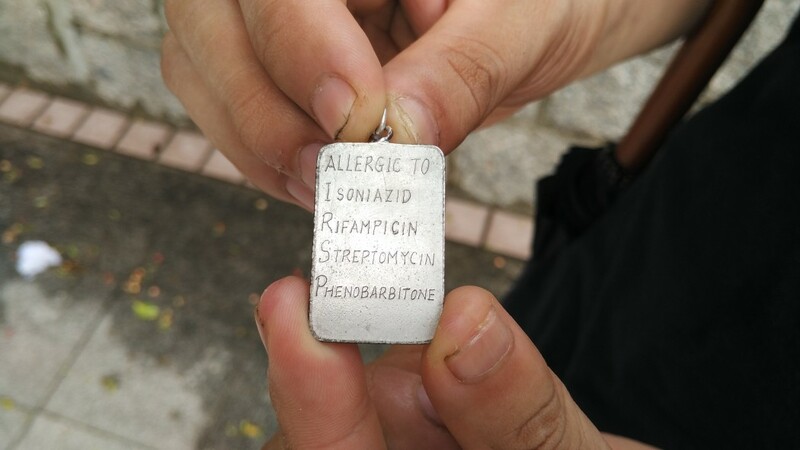 Man-cha’s old army dogtag he got from the hospital as a child. 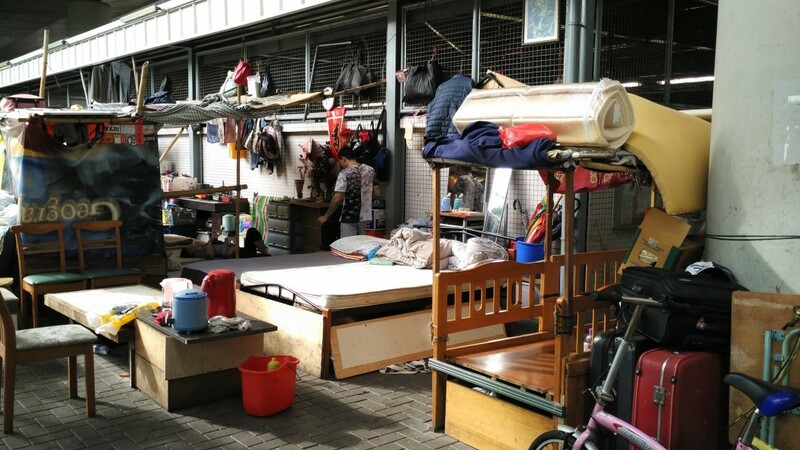 He is one of around 1,400 people in Hong Kong who call streets, parks, public toilets, hospital emergency rooms and other public places their homes, according to a homeless street count conducted jointly by the City University and three NGOs in August 2013. The Social Welfare Department has a Street Sleepers Registry, which recorded 876 people were homeless as of May 2015. The homeless population has been growing over the years. The number of registered street sleepers has more than doubled from 342 in 2007 to 876 in 2015. And neither the NGOs’ or the government’s data include tens of thousands more living in caged homes and subdivided flats. 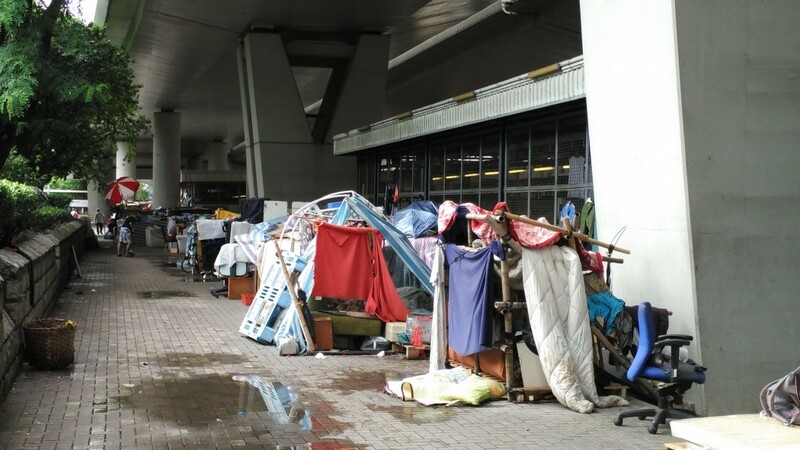 Homeless people living under a bridge in Sham Shui Po. Social welfare policies such as the Comprehensive Social Security Assistance (CSSA) – the government’s main social allowance scheme – have been criticised as inadequate in helping the poor as living costs keep rising. Public housing is scarce, forcing many to choose between spending their limited salary on food or rent. “The Hong Kong government is not doing very much to alleviate poverty in real terms. It’s very good at making noises,” says Martin Radford, Executive Director of Inner City Ministries, a Christian NGO. Contrary to what society might think, over 40 percent of homeless people are self-supporting either by doing odd jobs or waste collecting, Ng says, citing SoCo’s research data. Because he cannot provide a home address, no employer will hire him for full-time work. Last month, when he was working as a part-time porter moving goods on and off trucks, he fell from more than a metre high and broke a rib. “I also had three stitches on the back of my head,” he says. He was not covered by labour insurance because he had no contract. In the end, Man-cha’s boss paid his hospital bills but he also lost his job. Ah Ming gets paid HK$33 an hour – a notch above the HK$32.5 minimum wage. But he doesn’t get social insurance or the Mandatory Provident Fund (MPF) because he hasn’t signed a contract. According to him, labour regulation is more lax in the catering industry simply because there are so many eateries in Hong Kong. “They (restaurant owners) would think, even if one in ten gets caught, it won’t be them,” Ah Ming says. He tried applying for public rental housing but officials told him his salary exceeded the maximum income limit of HK$10,100 per month for single applicants. The notoriously long waiting list also puts him off. The Housing Authority states on its website that it takes an average of 3.3 years for applicants to be allocated a rental flat. “For new immigrants it takes three years; for us it takes ten years, or even more!” Ah Ming complained. 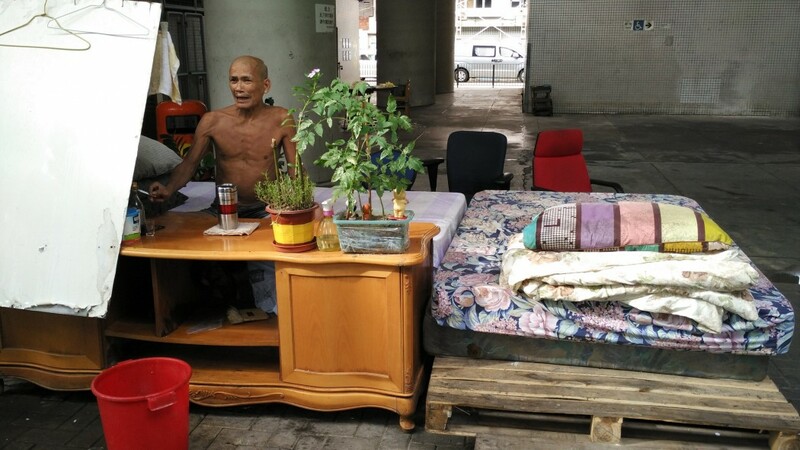 A man who lives under a bridge in Sham Shui Po. The Housing Department says the 3.3-year average waiting time only applies to family and elderly one-person applicants. On alleged favour of new immigrants, a spokesman for the Director of Housing, David Ng, insists officials use the same assessment criteria for all applicants of public rental housing in an email reply for comment. “It is based on a set of objective criteria such as income and asset limits, domestic property ownership restriction, and residence requirement, which is applicable to all applicants,” Ng says. 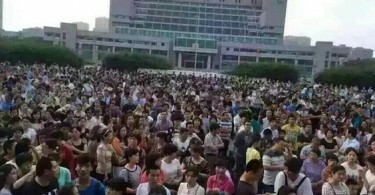 The government aims to supply 200,000 public rental housing units in the next decade to meet increasing demand, Ng added. Meanwhile, with just enough hope, life continues for those without a place to call home. Man-cha just started a new delivering job. He now lives mostly with his grandmother. Sometimes he rejoins the street sleepers community in Sham Shui Po. He says he wants to find a more stable job, save up money to have his own place and open a restaurant. “That’s my biggest dream,” he says.